Sloss Real Estate’s next exciting tenant is slated to open at Pepper Place soon. 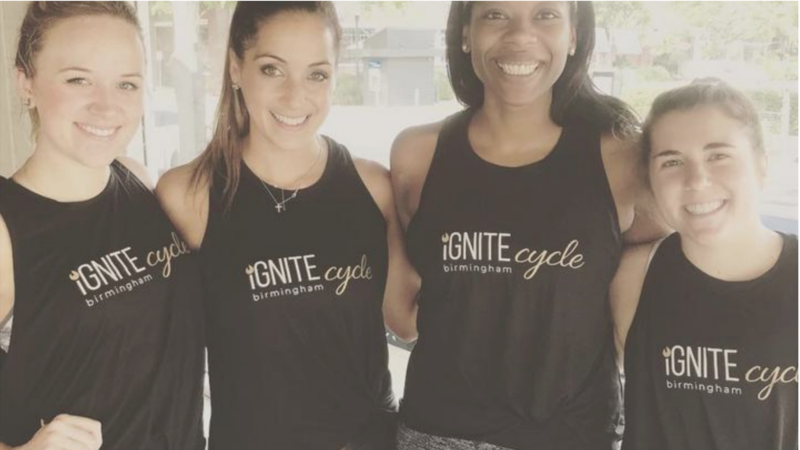 Birmingham’s Ignite Cycle has been featured in the Birmingham Business Journal. As owner Tiffany Martin explains, Birmingham’s only boutique indoor cycling studio will go beyond the typical gym to strengthen not only the body but also relationships. Martin hopes that Ignite Cycle can become part of the already strong community that exists at Pepper Place and foster friendships that become support networks for healthy lifestyles and wellbeing. For more information, visit IgniteBHM.com and follow them on Instagram.